Dream run for Bitcoin, but will the buzz last? Bitcoin may be in for a sustained record run as it overcomes key obstacles, experts said after the cryptocurrency set a new record high. 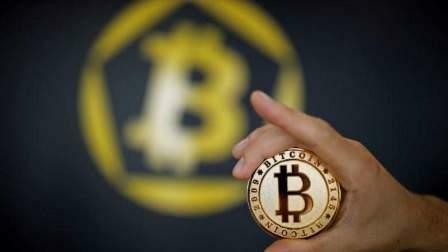 Even bitcoin fans were plagued by doubts over the summer when Chinese regulators cracked down on exchanges trading the virtual currency and a dispute among developers gave birth to a new version, splitting the market of the budding currency. In September, banking regulators in Beijing and Shanghai ordered local cryptocurrency exchanges to shut down. But observers say they are now detecting a rethink by the Chinese authorities, causing bitcoin to surge past the $5,800 level for the first time since its launch eight years ago. Should rumours reported in state media be confirmed, then what is by far the most well-known and traded of more than 1,000 so-called cryptocurrencies could soar to even greater heights, experts predict. "There has been a period of uncertainty but that has not lasted. China represents more than 60 percent of trading and the question of their regulation, as everywhere, has made a bigger impact," said Greg Revenu, of Bryan, Garnier & Co. The virtual currency is created through blockchain technology, which publicly records transaction details including the unique alphanumeric strings that identify buyers and sellers - technology which is gaining increasing currency among banks and companies.